People have understood the link between health and appearance for a long time. When you eat the right foods (and an anti-aging smoothie bowl can be a delicious part of this! ), it can help to keep your skin looking healthy and vital. Much of the processed food that people eat today is devoid of a large portion of the nutrients that come in whole, natural foods. Many of these nutrients are found in delicious fruits and vegetables that can be blended in imaginative ways to create delicious dishes that you can enjoy for years to come. In the next few paragraphs you’ll find some information on how to make a smoothie bowl that is healthy, age-defying and nutritious. The primary reason you will want to eat this anti-aging smoothie bowl, is because it’s a massive ultra-punch of antioxidants. As mentioned before, they help keep your skin and body healthy. They also fight off free radicals that can cause cancer or permanent damage to your cells. The berries are very high in fiber, which is good for your digestive tract. They can also help improve your memory functionality, which is great for older people. Hemp seeds and chia seeds are widely known for their high protein content, which helps the body to metabolize fats more efficiently. Take your banana, frozen cherries, and almond milk and blend it into liquid mixture. This is going to be the base of your smoothie bowl. You can place your banana slices to the side or simply drop them into the bowl. 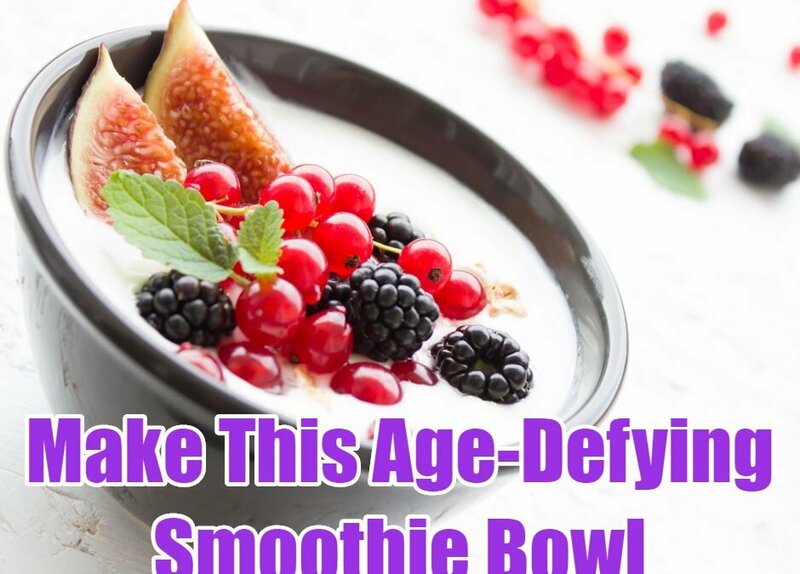 Put your fresh fruit into the bowl, then sprinkle the seeds and coconut flakes all over the entire bowl, and you will have a beautifully colored anti-aging smoothie bowl that will keep your skin and body healthy and looking youthful!